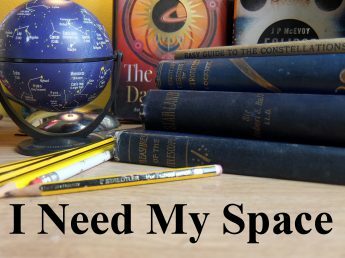 Messier Update | I Need my Space! As I turned my telescope towards Gemini last night, I realised I hadn’t yet tried hunting for ‘faint fuzzies’ at all this year, as my astronomy activities seem to have been devoted to photography. I started using my new Skywatcher eight-inch mirror scope in 2015, after years using a ten-inch mirror dobsonian. I’m ashamed to say I’ve not mastered the equatorial mount on my new Skywatcher – I’m so used to the dobsonian method. I spent some time tonight watching some youtube tutorials of polar alignment, and I’m looking forward to trying it next clear sky. So just for the sake of completeness, I thought I’d list the Messier objects I’ve found mentioned in my observation notes with the Skywatcher over 2015 & 2016. It reads like a list of the brighter deep-sky objects, with a summer bias. I’m hoping to add a lot more to that list soon. A ‘goto’ mount would get round that lot in an hour, but I’m staying trad while I can still read a map. ← A double star, and two open clusters.